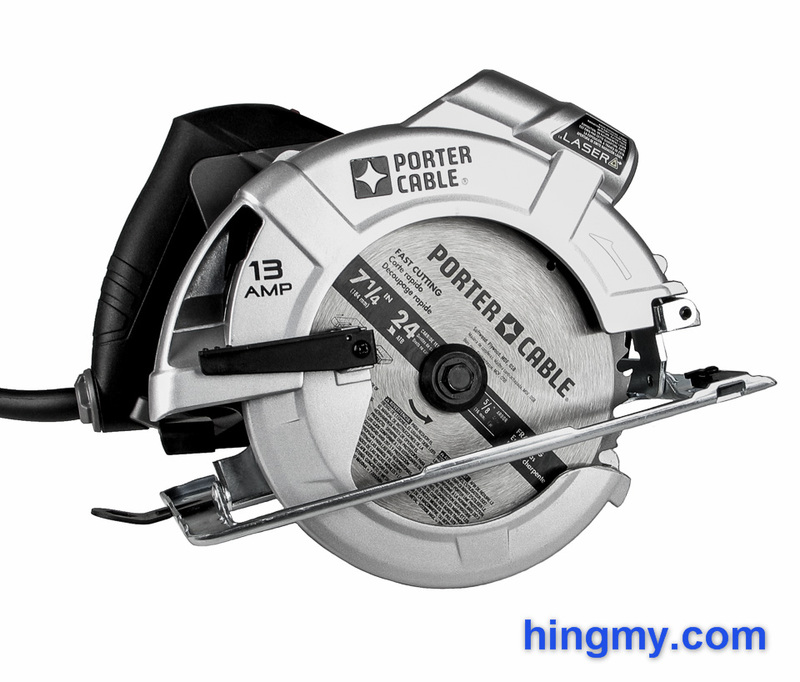 The Porter Cable PC13CSL came to us heavily recommended by many hobbyists. 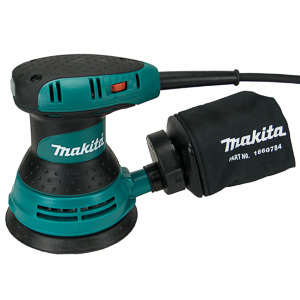 It is supposed to be a great circular saw at an even better price. Off course talk like that got us interested. Let's take a look if the PC13CSL is indeed as great of a buy as people say. 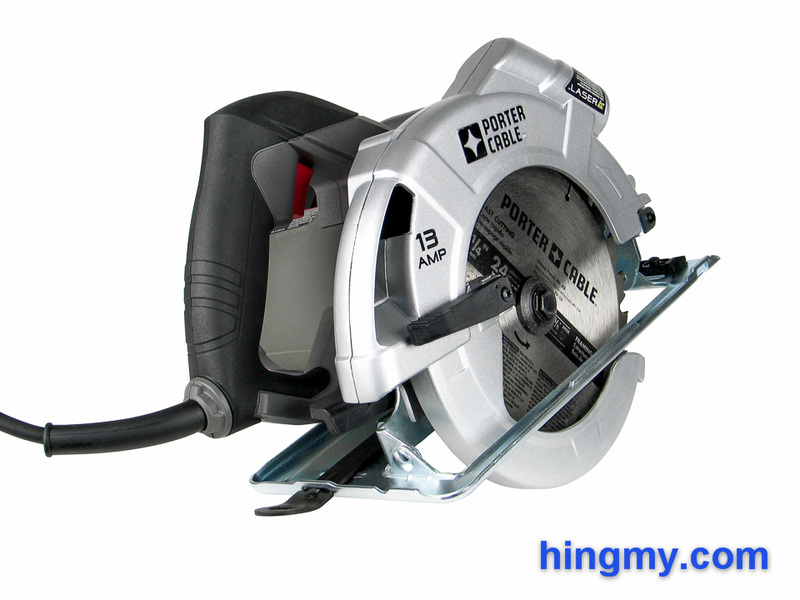 The PC13CSL is an entry level circular saw from Porter Cable. 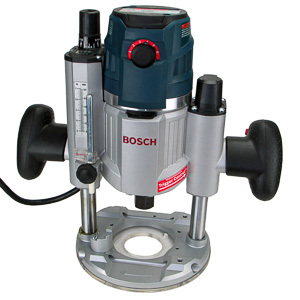 It has none of the value-add features of the full-priced saws, but it is very much capable of making accurate cuts. The motor is generously sized at 13 amps. 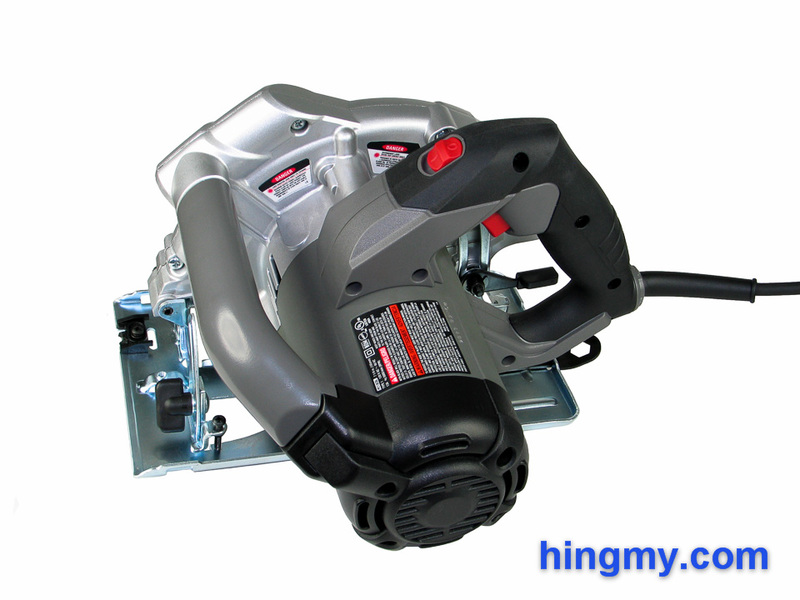 At this power level the saw is capable of cutting through most materials at speed. 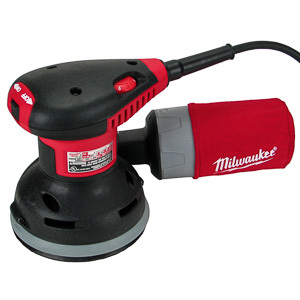 At 5,000 rpm the saw is not one of the fastest, but fits nicely into the middle of the market. The PC13CSL distinguishes itself with a very wide front handle that extends almost the entire width of the saw. The user has the option to hold the saw near the blade or further away. Anyone who has mainly worked with saws that have a knob-style front handle will find the wider handle disturbing at first. 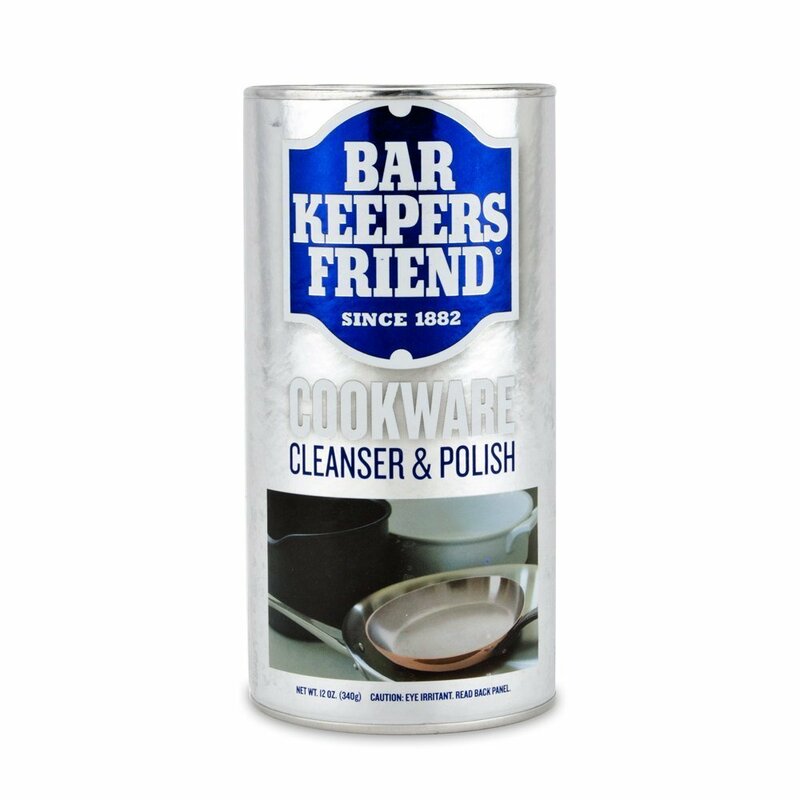 After some time it becomes clear that this handle is just another take on the concept. The PC13CSL's front grip is not any better or worse. It's up to the user to decide which style of saw he prefers. For plum, straight cuts the PC13CSL can be considered the equal of saws that cost many times as much. Any issues this saw has are mostly related to the tilt and depth adjustment mechanisms. Similar to almost all circular saws the PC13CSL ejects most of the dust it produces at the end of the upper dust shroud. There is no place to attach a dust collector. The lower blade guard almost completely covers the blade in its resting position and rotates out of the way freely. The blade guard retraction lever is within reach of the user's thumb in the wide open position; just as it should be. The saw has no motor brake. It takes about 5 seconds for the blade to come to rest after the trigger is released. 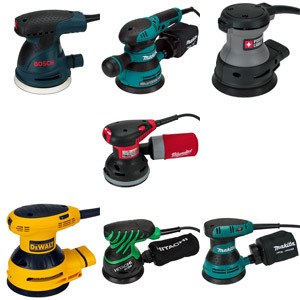 The generous 10ft power cord puts the PC13CSL in the lead among entry level circular saws in this category. The PC13CSL uses a stamped metal base plate. 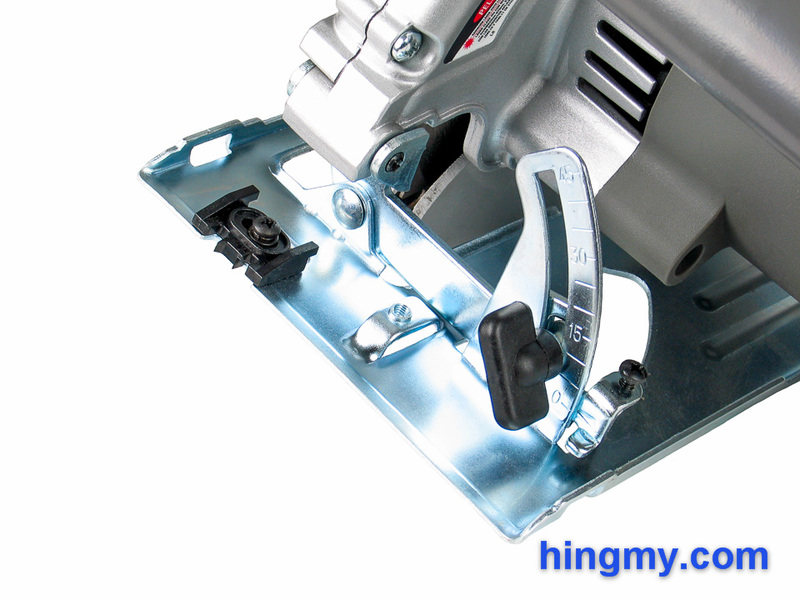 The plate is easily the weakest part of the saw and the cause for many of its problems. The base plate depends on a few rolled up ridges for stability. This works well, if the saw is care for well. If you throw your tools into a tool chest after a long day of work, metal base plates have a tendency to bend and get dinged up over time. The PC13CSL definitely is not a saw for the jobsite. A scale cut into the blade side of the plate shows how far the saw has cut into a work piece. Unfortunately the tick marks of the scale are obscured by the rim of the base plate. It is difficult to register just how far the saw has cut. The accuracy of this scale is ~1/4 of an inch at best. The cut-line indicator at the front of the saw is fully adjustable. Two very fine tips, one on each side of the blade, make it easy to see where the saw is going to make its cut. Should you move to a different saw kerf, the indicator adjusts in seconds, but only one of the tips can be used as the distance between them is fixed. There is no scale in the front or the rear of the saw that indicates the distance to the saw blade. The rear of the base plate has a recess that stores the blade wrench. 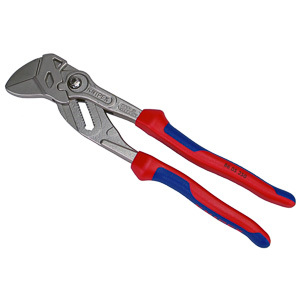 The wrench is held in place with a friction fit that is strong enough to hold the wrench in place without an play. It can be hard to get the wrench out, but at least it won't get lost. At maximum depth a guide rail can only be used on the blade side of the saw. The motor protrudes beyond the base plate by a generous amount and is only 1/2 inch above the material at its lowest position. The depth adjustment mechanism of the PC13CSL follows the standard design. A metal lever in the back of the saw unlocks the rear of the base plate. The motor housing is now free to rotate up and away around a hinge in the front of the plate. This system works well until the saw reaches the end of its range. The metal guide rail that protrudes from the base plate shows some side to side deflection in this position. If the saw is handled with care, this will not be a problem. On the jobsite, however, this issue can disqualify the saw. A scale built into the side of the of the blade shroud indicates the saw's depth. The scale has numbered tick marks every half inch. The index pointer on the guide rail is so wide that accurate positioning of the saw is hard. On average the accuracy of the scale is about 1/8 of an inch. The locking lever is large and easy to use. Once a depth setting has been reached, the saw will maintain it until the user adjusts it again. As a whole the depth adjustment feature is perfectly serviceable. It'll only give you trouble at the shallowest of depths, and then only, if you abuse the saw during a cut. The tilt angle of the saw is adjusted with a thumb screw in the front of the saw. A scale indicates the tilt angle up to a little more than 45 degrees. With a 5 degree spacing between tick marks and a wide index pointer the scale is wildly inaccurate. It can only produce construction level accuracy at best. A set screw zeroes out the base plate and scale. It is easy to return the saw to this position. There are no index stops along the scale whatsoever, the glaring omission being the missing 45 degree stop. The only way to accurately tilt the saw is to measure the tilt angle at the blade. The base plate shows some deflection under load in the rear when the saw is tilted. Most saws with a stamped metal base plate have this problem. On the PC13CSL the issue is less pronounced. If you handle the saw with care, it'll make accurate cuts for you. Blade changes are difficult, because the PC13CSL has not spindle lock. You have to upgrade to the PC15CSL to get that feature. Without the missing spindle lock, the blade needs to secured in order to freeze the arbor in place. This can be done with a vice in the shop or with pliers on the jobsite. Either way the operation is not easy. The blade will probably draw some blood before it is all done. The PC13CSL was not made for frequent blade changes. The saw comes with a built-in laser at the top of the blade shroud. What makes this laser special is that is is powered through a transformer. Not only does this design eliminate the need to replace batteries ever so often, it also makes for a very bright laser line. At times the laser line is visible in direct sunlight. Indoors it glows bright red. A switch at the top of the grip turns the laser on and off. The budget price of the saw shows in the build quality of the switch. It lacks tactile feedback and wobbles a little. The switch, however, does what it is supposed to do. The laser line is aligned with the far side of the blade by the factory. There are no alignment screws to adjust the laser. When the stock blade is replaced with a wider blade the laser will go out of alignment and cannot be adjusted. If the laser on your PC13CSL is misaligned, you'll have to send the saw back to Porter Cable. The perfect alignment of the laser on our test model is probably indicative of a good manufacturing process. Overall the laser works well for an entry level saw. The missing alignment screws limit it's usefulness, but it is good to see such a well thought through system on an entry level saw. Right from the start the PC13CSL impresses with good circular saw ergonomics. It is clear that the saw is a serious power tool. Straight cuts along a guide rail feel as natural as they do on the full-price saws. Feed rates fall into the middle of the range due to the mediocre motor power and rotation speed. It is possible to overtax the motor by pushing a little too aggressively. The resulting cut is straight as can be and free of burns. The motor mount of the PC13CSL seems to be true. The saw had no problem dimensioning panels for over an hour. The motor maintained a constant hum throughout. While one or the other larger project is certainly within the reach of the PC13CSL, the saw was clearly not engineered to be used continuously. The flex in the base plate is not an issue as long as you remember to push the saw through the cut in good form. Angle cuts can be thrown off by too much pleasure in the rear of the saw. Shallow cuts can drift, if the saw is pushed to the side during the cut. We had to act foolishly to cause these problems in our tests. In most cases the PC13CSL will only give you trouble, if you are careless to the max. On a short term basis the base flex issue can be ignored. If you use your saw on a daily basis, this dynamic is probably not something you'd want to deal with. Tear-out on the PC13CSL is solely a function of the blade. There are no features on the saw that limit tear-out. The blade is fee to rotate a generous distance away from the nearest support. 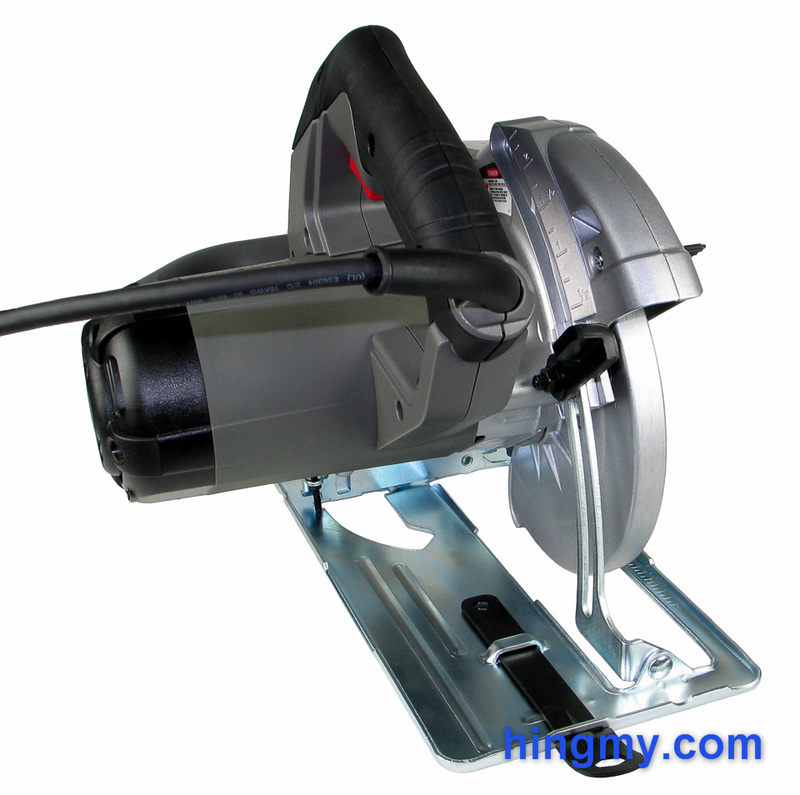 The entry level circular saw market has many contenders. All of the saws at the $50 price point have stamped metal base plates, which limits their overall performance. Each one of the saws has one or the other thing going for them, but all of them are within the same performance range. The PC13CSL's bigger brother, the Porter Cable PC15CSLK, is a considerable upgrade. 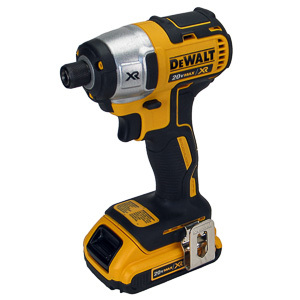 Not only does it have a stronger motor, it also comes with an edge guide and a carrying bag. If the price is right, it might be the better saw to buy. 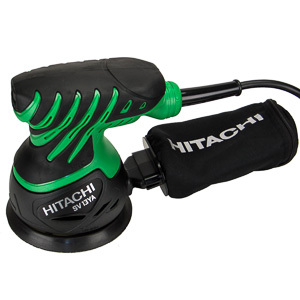 For a little more you can get the saw in kit box as the PC15CSMK. The PC13CSL has clearly been designed to hit a certain price point. It's features have been simplified to arrive at a saw that still performs, but one that can be a challenge to use in non-standard situations. With patience the saw completes plumb, straight cuts as well as any saw. The depth and tilt adjustment mechanisms are hard to use and of dubious quality. Porter Cable added a great, transformer powered laser to the package, but made the money back by leaving the arbor lock off. The stamped metal base plate is the limiting factor in the saw's durability. If you store the saw in a tool chest with other tools it will go out of alignment in a short period of time. The PC13CSL is a tool that wants to be handled with care. If you only make a few cuts at time and you don't mind spending more time setting up the saw and making the cut, the PC13CSL is a fully functioning circular saw at a much lower price. It can be a good performer in the right circumstances. Depth at 45 1 13/16"